A study of the dramatic pastoral in the eighteenth century points to the very nadir of English drama. 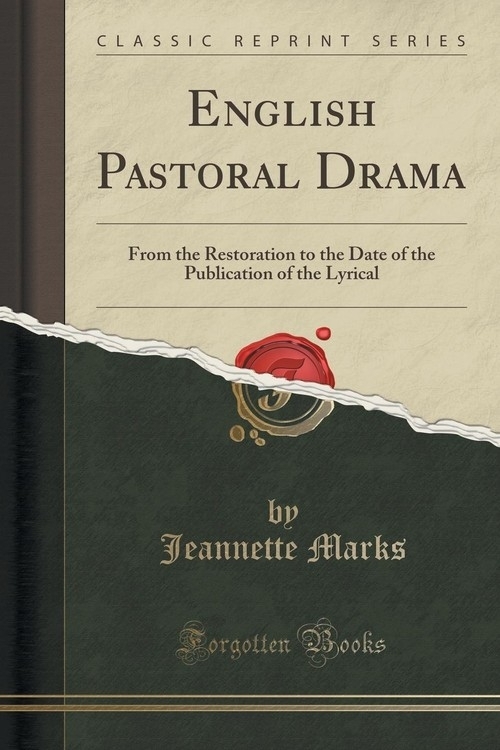 As an indicator this work should be of value; it covers the ground from the reopening of the theatres to the natural death of play-writing and the incoming of novels; it exposes the fundamental weaknesses of dramatic conception during the Restoration, and discusses a past of vital beauty for the pastoral; and then, by means of some two hundred plays, it follows, often wearily enough, through triviality, cheapness and vulgarity, the complete degeneration of the dramatic pastoral mode. Living pastoral drama can never come again, for, like the eclogue some two hundred years earlier, it is extinct.